Recently a huge debate has spread all over the internet and mass media concerning the identity and color of Santa Claus: is he essentially a white character? I’m sure many of you have come across this debate on Facebook, Twitter, or any other social network. The debate started when Aisha Harris wrote a piece in which she recounts her confusion when she was a child over the color of Santa Claus. She, as an African American, had a black Santa Claus at home, but outside she saw a white Santa everywhere. Her father’s answer that Santa could be of any color didn’t satisfy her. She felt insecure and ashamed, because she thought her black Santa wasn’t the “real thing.” In order to “spare millions of nonwhite kids” feelings of insecurity and shame, she suggests that Santa is transformed into a Penguin. 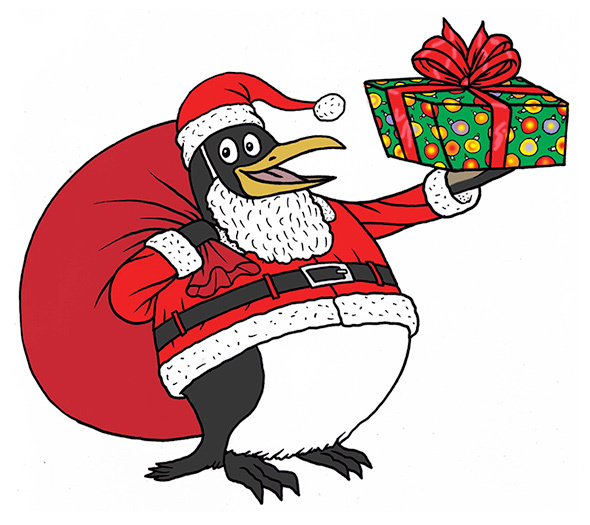 She thinks that a penguin can appeal to all people regardless of color and at the same time preserves as much as possible of the characteristics of the traditional Santa (such as coming from a snowy cold land).